JACKSONVILLE, Fla. - The Sheriff's Office announced Thursday it is harnessing online technology to improve communications with the citizens of Jacksonville. The first is a smartphone app that will provide audio updates of traffic accidents and road conditions in Duval County. It will be updated from 6 a.m. to 7 p.m. on weekends. The app also posts audio bulletins detailing major crimes, hazardous conditions, AMBER and silver alerts and other public safety information. 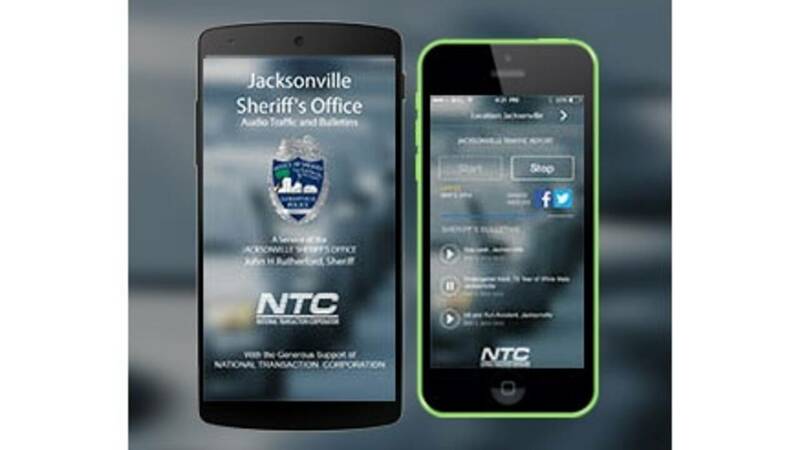 The app is available for Apple and Android devices by going to the app stores and searching for Jacksonville Audio Traffic App. The system is advertising-supported, so it is free to both the user and for the Sheriff's Office. JSO also launched a web page showing its active dispatched calls for service. The list of calls is delayed by 30 minutes and the address of the calls is rounded to the hundred block to protect the privacy of those who called police. It also excludes certain calls, such as sexual assaults and child abuse to help protect the victims. "One of the things people want to know is the police activity in their area of the city," Sheriff John Rutherford said. "I want them to know these things (to) keep them safe."